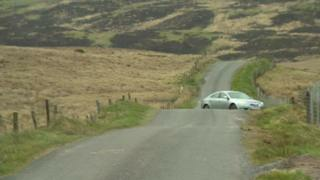 A woman in her 40s has died following a single-vehicle collision in Dromara, County Down. The incident happened on Dree Hill. Police say Michelle Healy was from the Dromara area and died after the red Mitsubishi vehicle she was driving left the road at about 13:10 BST on Sunday. They have appealed for information about the collision.